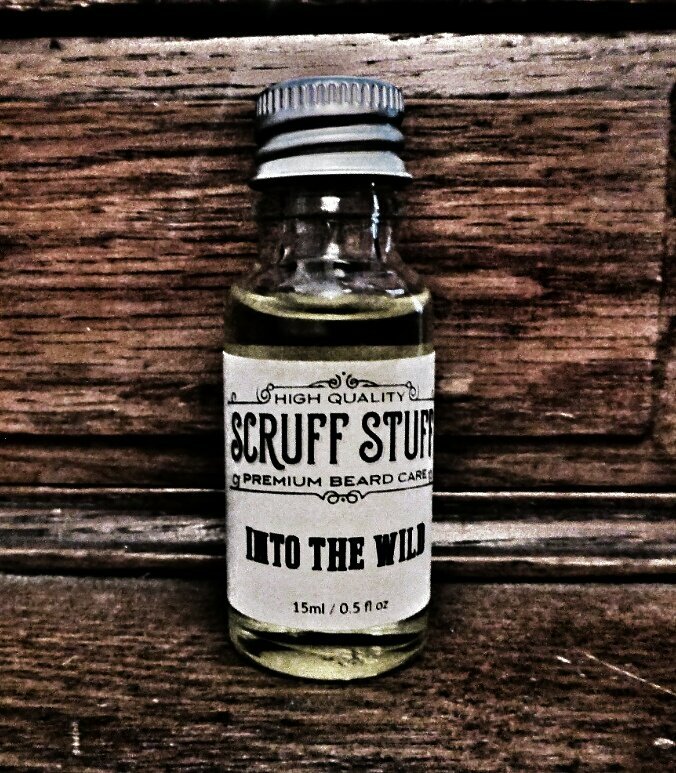 There’s not many things that can be relied on in this world, well except for Scruff Stuff oil and so Scruff Stuff ‘Into the Wild’ Beard Oil is without surprise, amazing! Once a month I get a delivery of a Scruff Stuff oil, there are six oils and this month I received “Into the Wild” and once again it is an incredible oil. On the Scruff Stuff website its described as “a manly spa for your face. It’s packed with 7 essential oils (our most complex blend yet). The earthy base notes of patchouli and Vetiver, blended with juniper berries and cut with sharp citrus. All topped off with the sweetness of geranium”. I can never wait to try my latest Scruff Stuff oil and so I hadn’t done anything to my beard this morning except for a quick brush, it wasn’t long until my wife dropped a padded envelope in my lap. I took the oil out and gave it a shake and twisted off the black cap, my wife asked to smell it and she has declared it to be her favourite. I wheeled to the bathroom and washed my beard and then applied some of the oil, like all of the Scruff Stuff oils, its a light oil that doesn’t leave your beard feeling unnatural and caked in oil but it still gives your beard some hold. It has a hint of citrus and that is all I recognise because I have don’t know what Patchouli or Vetiver smells like but the mix works very well, some oils are too powerful and but Scruff Stuff oils are very delicately balanced and no one oil in the mix over powers the others, I think that is what I like about these oils. James has said that he is working on some balms to add to the Scruff Stuff range, however I am sure that he won’t rush it until each one is perfect, but when they do get added to the online shop, they will be worth buying. ← Help, I can’t do this!